Another Ardbeg, another media frenzy and another sold out edition. Much talk among the whisky nerds about the mini samples bottles this year, due to an onslaught of Ardbeg Mini collectors asking, begging, nagging and flooding anyone with a distant chance of getting one of those minis , which apparently are highly prized to sell, trade , or god knows what else. Good blog posts by Oliver Klimek and the guys from CaskStrength.net who filmed themselves destroying a bottle and asked other bloggers to do the same : film yourself doing just that – destroying empty sample bottles. As it turns out i got the “generic” sample bottle rather than the much sought after mini , so my plans for destroying the bottle under the car tyres of my Toyota were no longer relevant. alas. 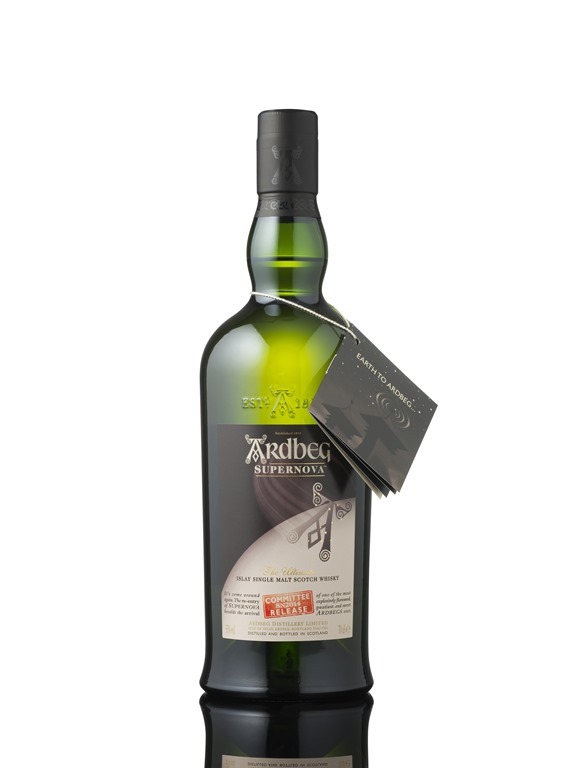 Nose: Its peaty indeed, but not THAT much as one would expect from the one of the peatiest whiskies out there and the Ardbeg answer to the Octomores… But, it’s interesting no doubt. Rather medicinal with quite a few notes of hospital beddings and bandages, as well as clove, kerosene and aniseed, all layered with a lot, and i mean A LOT of ash and some smoke as well as liquorice candy. Finish: Long, very very long indeed. with a lot of ash, pepper, burnt sugar and hints of burnt vanilla flan, and traces of sweet marinated bacon. This is a good young peaty Ardbeg alright. I think its less intense than previous versions, certainly less ashy and sweeter with more fruit and sherry influence,but still it’s HUGE. I guess cutting it at 55% did some of the trick, as previous versions were over 60% abv if i remember right. I still liked it more than the SN2010 since its more approachable and less of an ashtray-like dram. when price is concerned i truly feel this whisky is overpriced, and although quite collectible, it was meant for drinking, and paying that much for it if you are actually going to drink it (and not flip it on some auction site) is way way too much when you consider BFYB (bang for your buck) ratio. My favourite Ardbeg (current line-up) is still the Uigedail, no doubt. Having said all that, it’s still a brilliant peated dram, and worth trying and drinking if money is not an issue. The exotic fruit note is interesting in the context of my experience with PC11 – in the 1st bottle I found some traces of lychee, which I could not detect in another bottle later (both from Ben Gurion). Could be that some volatile compounds responsible for this are at very low concentration and dissapear with time?! If I find a reasonably priced bottle in the US I may buy share it. I am intrigued. When it comes here In the US—try Total Wine, KLWine, or Caskers. Total Wine is cheapest of the three. Generally cheaper than UK or EU…but still not cheap enough. I’m curious though, and clearly missing the point…why are people so interested in a mini-bottle? Empty bottles or full?